We’d love your help. 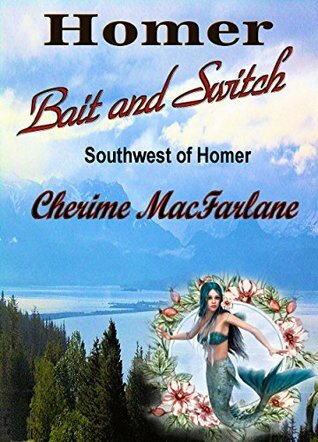 Let us know what’s wrong with this preview of Homer Bait and Switch by Cherime MacFarlane. “I didn’t plan to take off with the money. Ally, my sister was driving our fishin He's not a bad guy, but he did something that has his mother and sister upset. Then there are all the girls in town, they've nicknamed him the Russian Raider. To ask other readers questions about Homer Bait and Switch, please sign up. I enjoyed reading this book especially about the Alaskan scenery and way of life. It's very interesting and sounds beautiful there. The book is a slow paced read as it matched the speed of how the characters lived in Alaska. There was some suspense and drama involved with the fishing industry and Lynn's relationships with the people in town. Another wonderful Alaska adventure with real characters, scenes and actions. Having had the privilege of visiting, once, I thoroughly enjoyed "seeing" those places again. Thank you, author Cherime MacFarlane for sharing with us in another entertaining adventure story. Although born in New Orleans, I am proud to call myself an Alaskan. I have lived here for 37 years, I have lived through -40 degrees, hauled water, made bear bacon and live in a cabin. I have used a fish wheel to catch salmon coming up the Copper River. I was my second husband's chief mechanic's helper and only roadie. I have cut firewood on shares, worked as a cocktail waitress, then as a paraleg Although born in New Orleans, I am proud to call myself an Alaskan. I have lived here for 37 years, I have lived through -40 degrees, hauled water, made bear bacon and live in a cabin. I have used a fish wheel to catch salmon coming up the Copper River. I was my second husband's chief mechanic's helper and only roadie. I have cut firewood on shares, worked as a cocktail waitress, then as a paralegal for over 26 years. I hold the #80 press card as a reporter for the Copper Valley Views newspaper which ceased publication in the 1980s. I have been writing stories since junior high. Retired now, I can devote my time to what I love.